Funny Bunnies embody the things we love; amazing materials, sweet colors, great craftsmanship, and good design. We only use the good stuff in making our bunnies come to life. From the inside out, we use fine, natural fiber stuffing and fabrics, including recycled Pendleton wool and soft cotton to make our bunnies a dream to snuggle with. 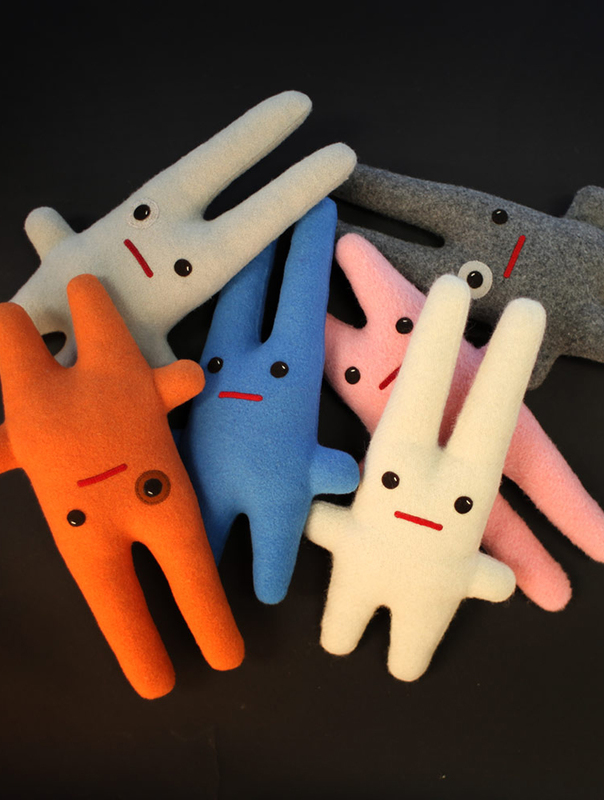 Even their guts are woolly! Each bunny is hand crafted to be one-of-a kind. Bunny bodies are designed to give each bunny its own unique personality. 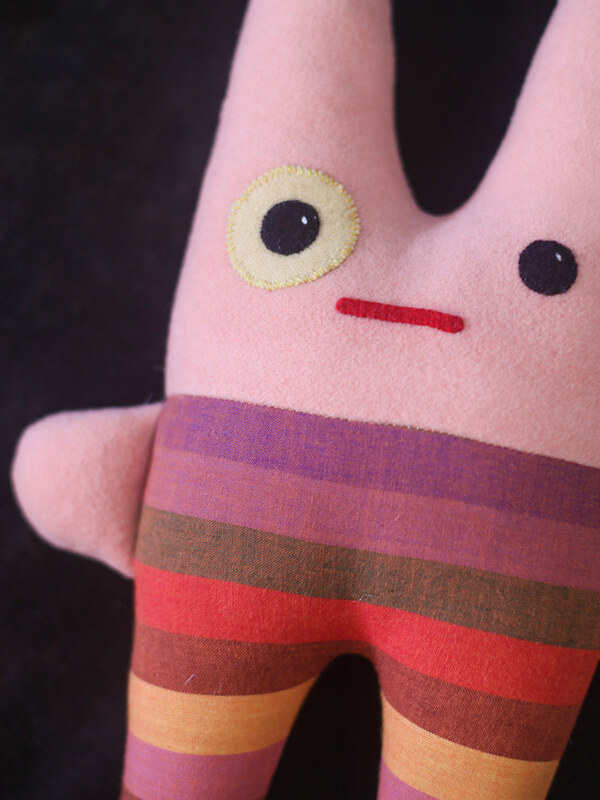 After cutting, sewing, pressing the seams and stuffing the bodies, the mouth, eye spots and eye color are carefully selected and composed, then hand-embroidered in place to reveal the special character of the bunny shining through. Oh! Hello. 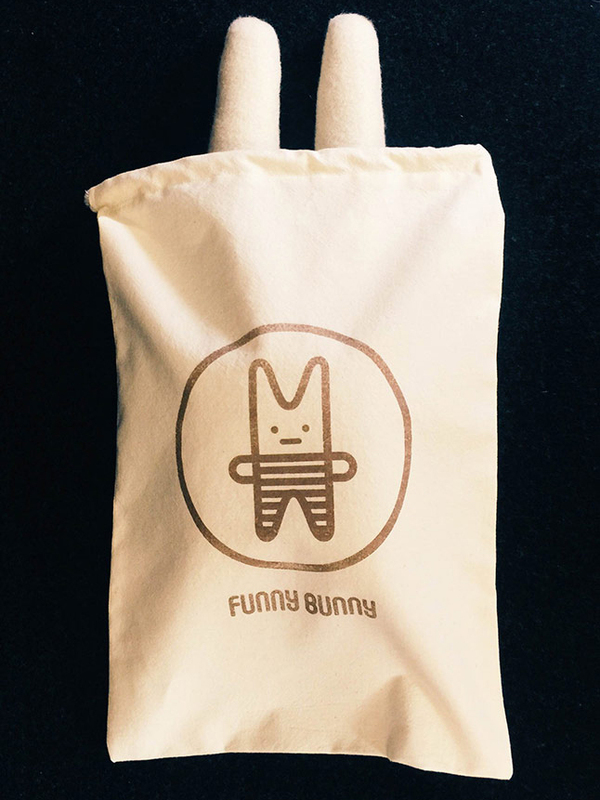 Funny Bunnies are created to bring joy and happiness to each collector, no matter their age. Skillfully handcrafted from high-quality, natural materials, Funnies Bunnies are made to last a lifetime, providing love, smiles and lots and lots of cuddles the whole way through. We know you'll enjoy adopting one or collecting a whole litter, almost as much as we have enjoyed creating them.